1. 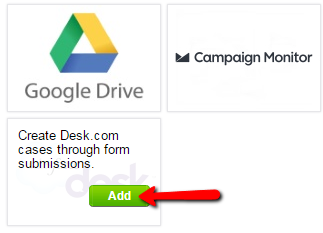 In My Forms select the web form that you want to integrate with your Desk.com account. 3. Hit the 3rd Party Apps tab on the left. 4. 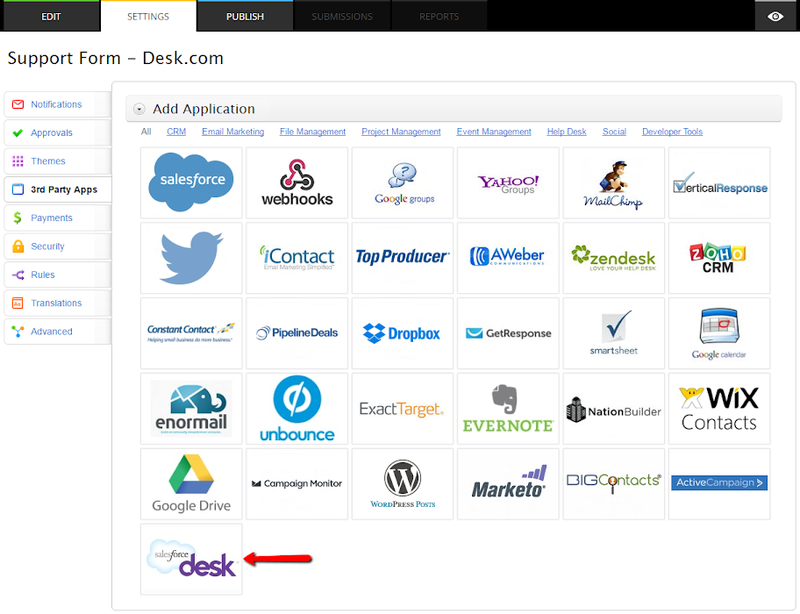 Browse the applications list for the Desk.com app. 5. Hover over the Desk.com logo and hit Add. 7. Enable the Custom Domain option if your domain doesn’t contain the Desk.com brand name, or leave the option in its default state. 8. Next, type in the name of your domain in the text box and hit the Connect button. 9. 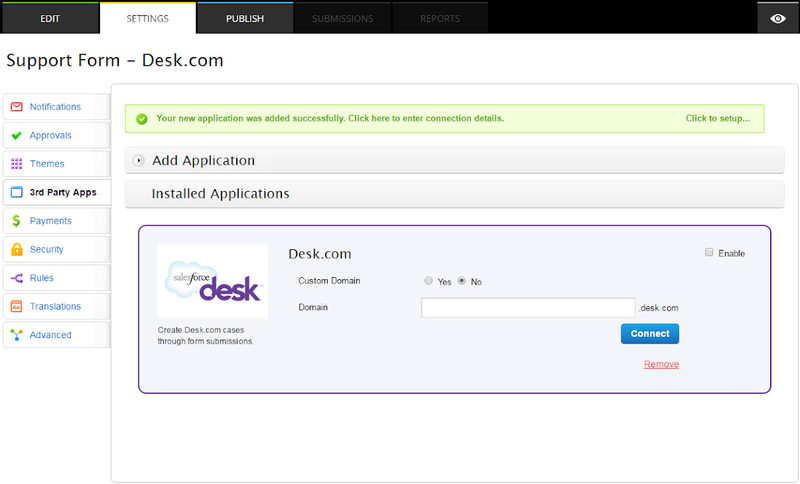 You’ll be redirected to enter the credentials of your Desk.com account, if you’re not already logged in Desk.com. 10. 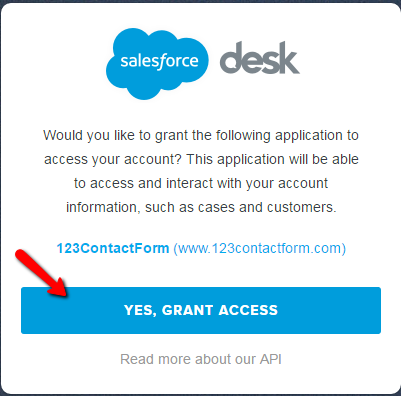 You’ll need to grant access to 123FormBuilder, more specifically – your form, to send submissions to your Desk.com account. 11. You are now redirected back to 123FormBuilder where you must map fields and adjust other settings in the customization lightbox. Note: Mandatory fields are email and message. 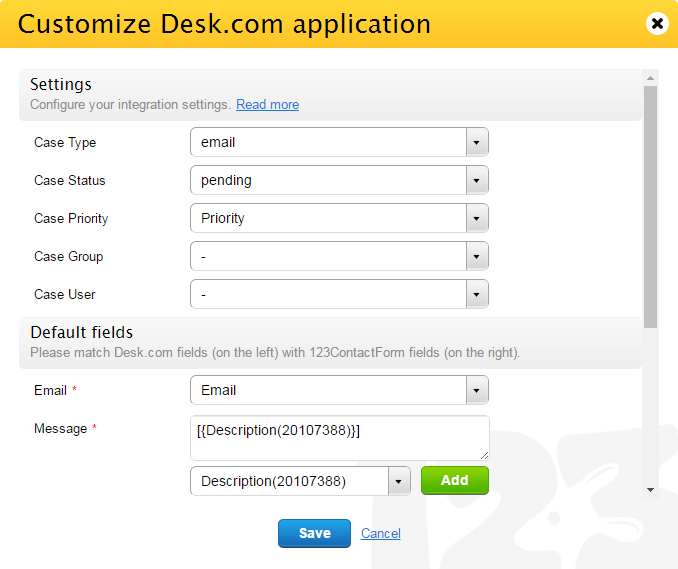 Associate your default and custom fields from Desk.com from the left with your form fields on the right. 12. Fill in the Error Handling box with your email address to get notified if a bad connection occurred with one of your tickets. By default, it’s set with the email address of your 123FormBuilder account, but you can change it at any time. 13. Press Save to complete integration. Now you can receive tickets in your Desk.com account from the submissions that are sent from your online form. If you require more assistance, don’t hesitate to contact us.